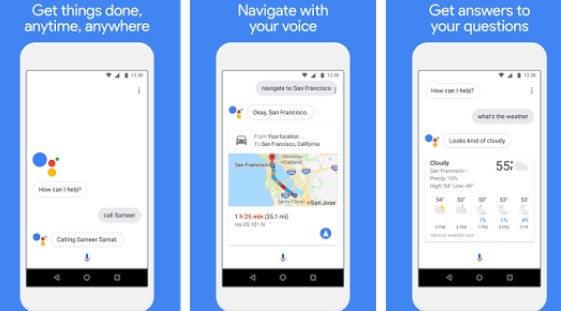 Google Assistant Go has most features of the full Google Assistant app but was designed to work with Android Go handsets, so it lacks hands-free voice activation, reminders, controls for smart home devices, and other advanced capabilities. Low-end Android devices seem to receive a lot of love from Google lately since YouTube Go is not the only light variant of a very popular app we bumped into these days. However, Google Assistant Go has not been around for a year as YouTube Go, since it made its Google Play debut earlier this week. As its name suggests, Assistant Go is a light version of the popular virtual personal assistant that Google introduced back in May 2016. After being exclusively available on the Pixel and Pixel XL handsets, it reached the first third-party handsets and the Android Wear platform in February 2017. Sadly, to keep the app light, some advanced features had to be removed. While one or two might be added in the future, the list of missing Google Assistant features now includes reminders, the ability to control smart home devices, Actions on Google, Device Actions, and hands-free activation via "OK, Google" or "Hey, Google." Android Go is based on Oreo and uses less than half of the storage space needed by Android Nougat, and was also designed to work on devices with less than 1 GB RAM. Other Android Go apps that Google released recently are Files Go, Gboard Go, and Google Go.